Gov. Greg Abbott is intensifying his efforts to unseat state Rep. Sarah Davis, R-West University Place. Gov. 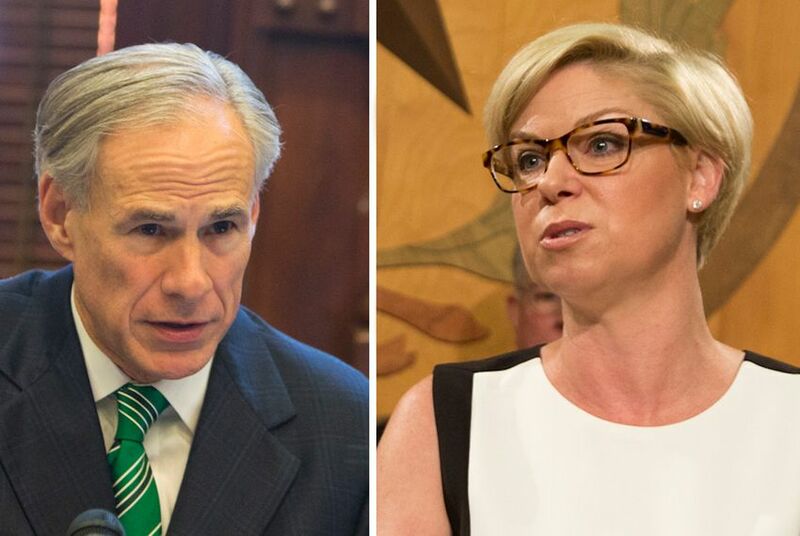 Greg Abbott is comparing state Rep. Sarah Davis, a fellow Republican, to his 2014 Democratic opponent, Wendy Davis, as he further intensifies his efforts to unseat the West University Place lawmaker. Abbott's campaign is going on TV next week in Sarah Davis' District 134 with a 30-second ad that shows the two Davises side-by-side, tying the Republican to the Democrat's famous 2013 filibuster against abortion restrictions. At the time, Sarah Davis was the only GOP lawmaker who ultimately voted against the legislation that Wendy Davis was filibustering. The filibuster made Wendy Davis a national star, fueling her 2014 run for governor — which she lost in a landslide to Abbott, who was then the attorney general. Some of the attention paid to the filibuster rubbed off on Sarah Davis, who was mentioned flatteringly by left-leaning MSNBC host Rachel Maddow in a segment featured in the 30-second ad. "You said no to Wendy Davis," a narrator says at the end of the spot. "Now it's time to say no to Sarah Davis." The ad is the fourth commercial that Abbott's campaign has released this cycle in HD-134, where the governor has endorsed Davis' primary opponent, Susanna Dokupil. While Abbott's campaign did not disclose how much it was spending on the latest spot, it previously dropped a large sum — $161,000 — on ads for Dokupil in January. Davis is one of three House GOP incumbents whose challengers Abbott has endorsed ahead of the March 6 primary as he looks for payback against his lower-chamber antagonists in the wake of the 2017 special session. The other two sitting lawmakers who Abbott is opposing are state Reps. Wayne Faircloth of Galveston and Lyle Larson of San Antonio.